Napoleon: Total War isn’t radically different from predecessors such as Empire: Total War. But its focus on the empire-building exploits of Napoleon Bonaparte provides a good hook for a strategy game. The main single-player game focuses on the three great campaigns of Napoleon’s career, spanning the late 18th and early 19th centuries. The action begins with his Italian Campaign, a defensive campaign that was intended to protect France from Austrian forces based in northern Italy. From there his ambitions grow and the game follows up with his campaign to conquer Egypt and then—as the newly crowned Emperor of France—on the Napoleonic Wars that raged across Europe. These battles were taking in Germany, Austria, Russia and, of course, the little town of Waterloo (which turns out to be in Belgium, rather than south London). As well as playing through these long campaigns, you can also dip straight into a number of individual battle scenarios, including Waterloo, Borodino in Russia, and the Battle of the Nile in Egypt. The Gold Edition also includes the expansion packs that followed the release of the original PC version in 2010. 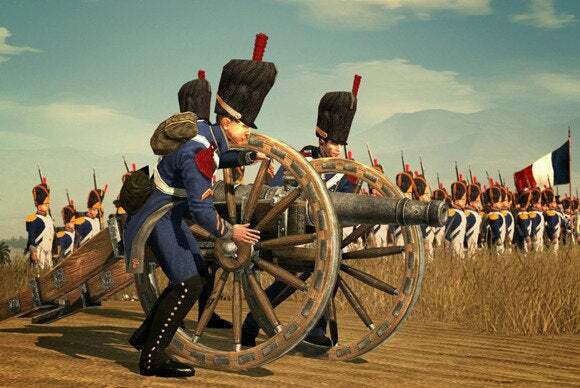 These packs add a number of additional battles to the game as well as a full-scale campaign set on the Iberian Peninsula that involves the forces of Britain, France, and Spain. You can play online, although you’ll need to download the separate GameRanger software in order to find other players online. Success in Napoleon: Total War isn’t just about having the biggest army. You also need to concentrate on trade and diplomacy in order to gather wealth and build alliances. Some campaigns will initially assign you to the role of Napoleon as he sets out to attack a neighboring country, while others will cast you in the role of the defending country. However, as you progress through the game you can unlock additional options that will allow you to choose which side you want to play. The game certainly offers a challenge for experienced strategy gamers, and while its 3D graphics look a bit dated they do allow some really large-scale battles to run fairly smoothly even on older Macs models. However, the level of complexity involved in these campaigns means that Napoleon: Total War might not be the best entry point for novice players in the Total War series. There are no less than three separate tutorials, one each for battles on land and at sea, along with a tutorial that takes in the broader aspects of conducting a large-scale military campaign. These tutorials crack on at quite a pace, too, and I sometimes struggled to keep up—Napoleon: Total War is well suited to people that already have some strategy-game experience. It might be a bit daunting for beginners, but Napoleon: Total War is a very good value and provides plenty of challenges for fans of historical warfare to sink their teeth into. And, of course, it allows us Brits to relive the glory days of the British Empire by trouncing Boney at the Battle of Waterloo. A challenging, historically authentic strategy game.